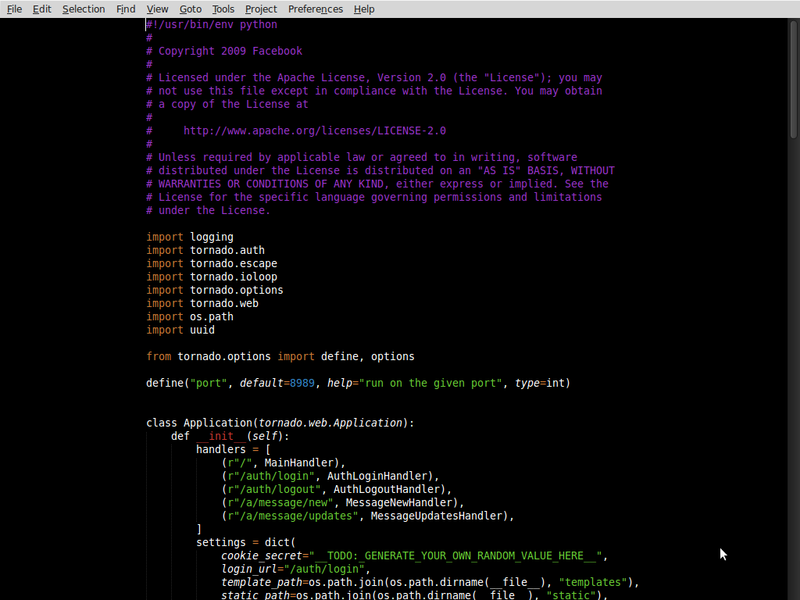 The most useful of these tools, and one you should always have on hand is a text editor. 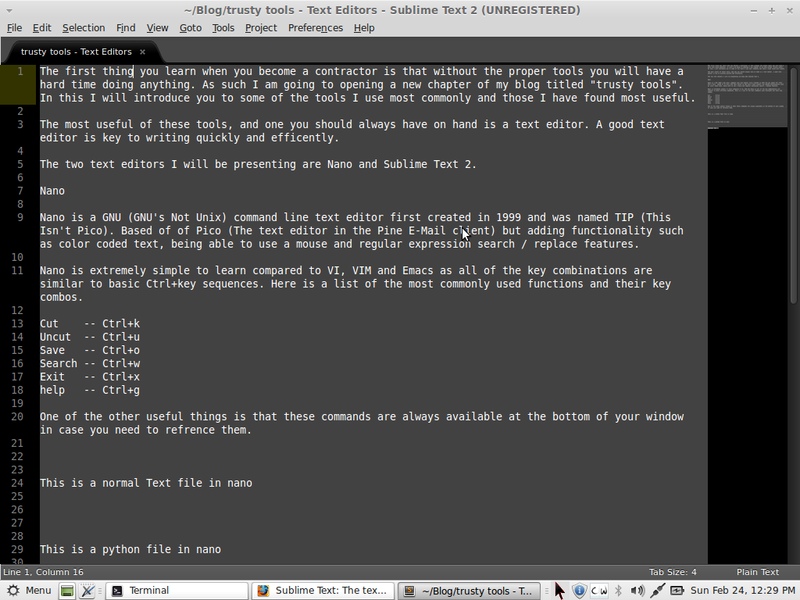 A good text editor is key to writing quickly and efficently. 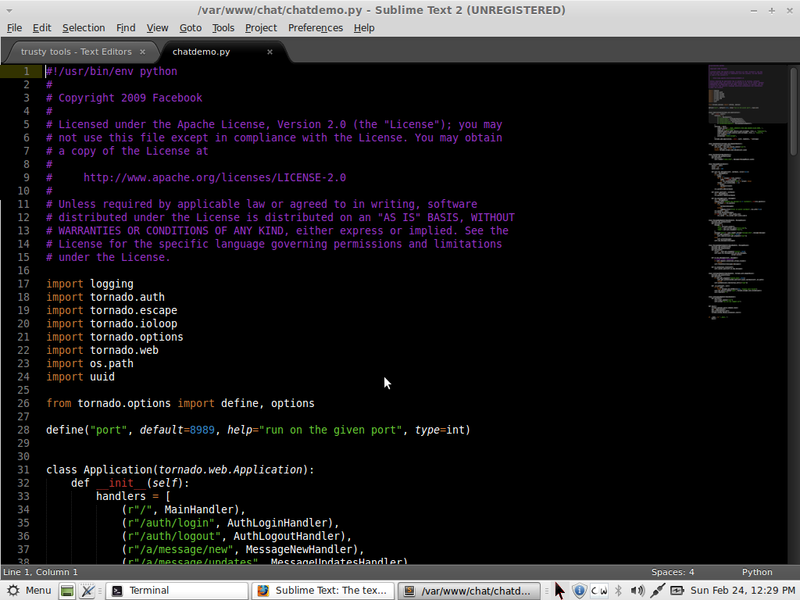 The two text editors I will be presenting are Nano and Sublime Text 2. 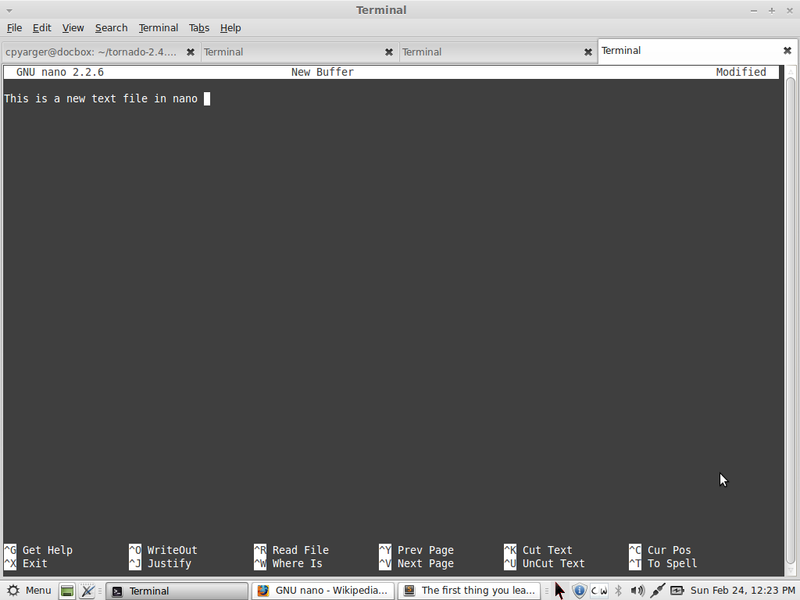 Nano is a GNU (GNU’s Not Unix) command line text editor first created in 1999 and was named TIP (This Isn’t Pico). Based of of Pico (The text editor in the Pine E-Mail client) but adding functionality such as color coded text, being able to use a mouse and regular expression search / replace features. Nano is extremely simple to learn compared to VI, VIM and Emacs as all of the key combinations are similar to basic Ctrl+key sequences. Here is a list of the most commonly used functions and their key combos. One of the other useful things is that these commands are always available at the bottom of your window in case you need to refrence them. 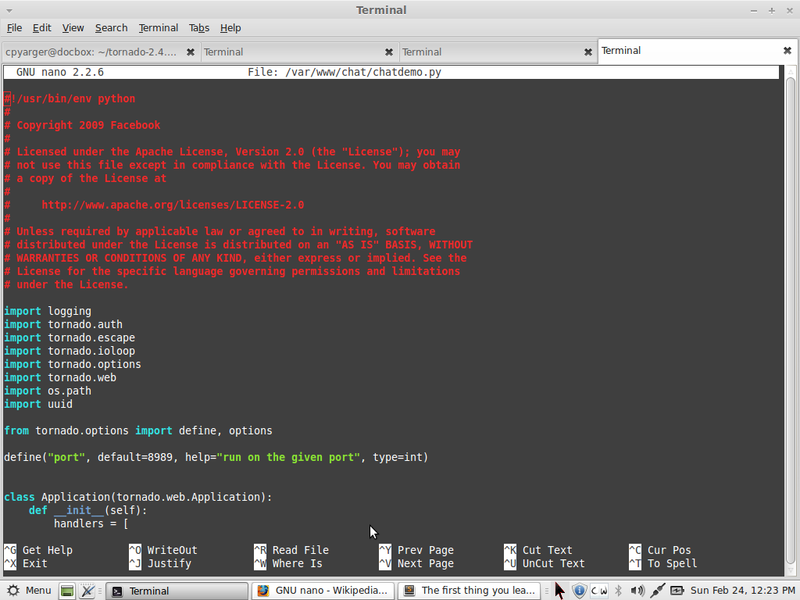 There is nothing like a really good GUI text editor. 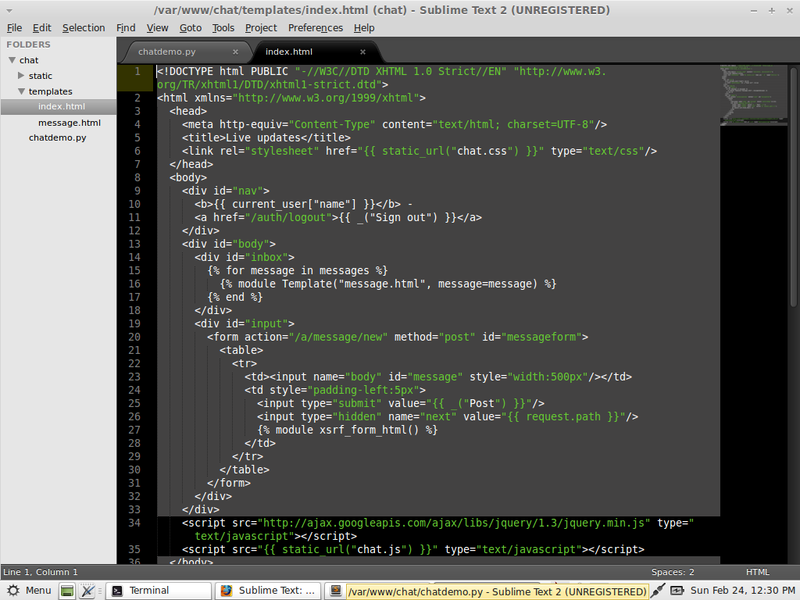 and by far Sublime Text is the best I have encountered. Initially released in 2008 by Jon skinner while sublime text is a closed source, proprietary software, It has an amazing feature set, a clean interface, and a Python API for extensibility.